Kate Sylvester and Wayne Conway started out with the Sister label in 1993. Australian outlets began selling Sister garments in 1996 but when Sylvester and Conway were threatened with legal action by a similarly named Australian label, they decided to retire Sister and start a new label called Kate Sylvester. This was launched in 1997. 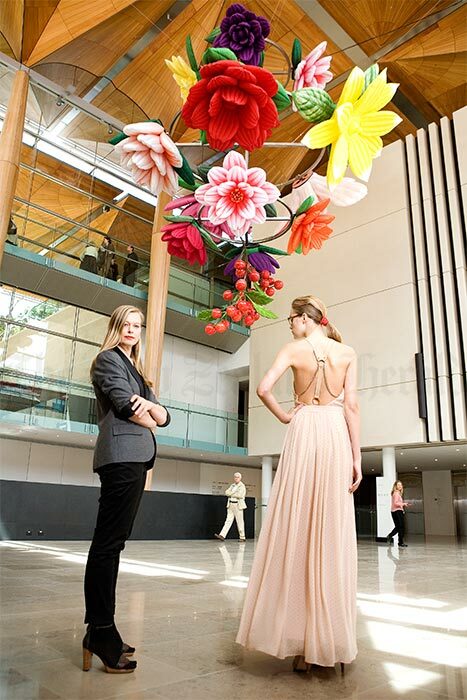 This is Sylvester (left) with one of the dresses from her 2011 collection, which was launched at a fashion parade at the Auckland Art Gallery.